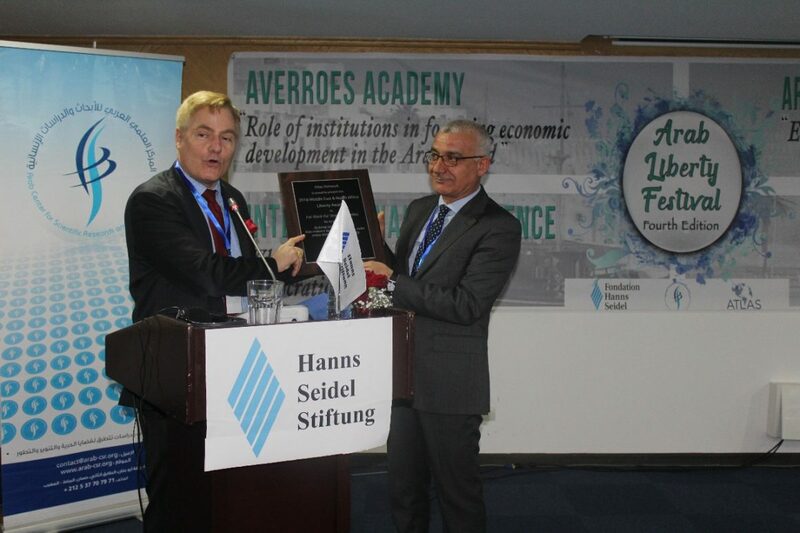 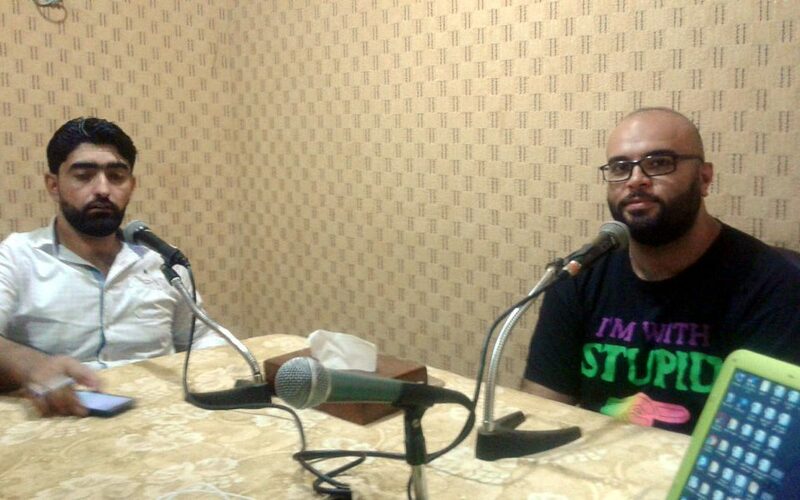 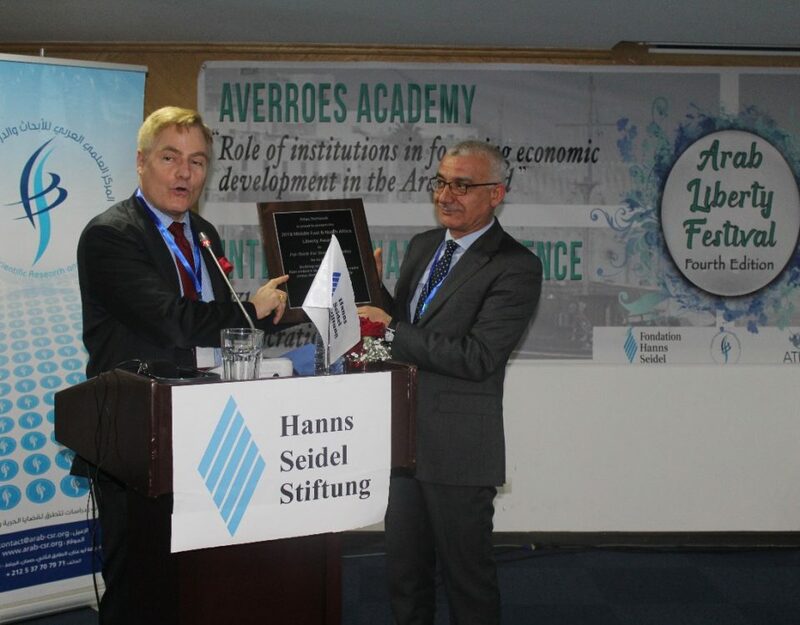 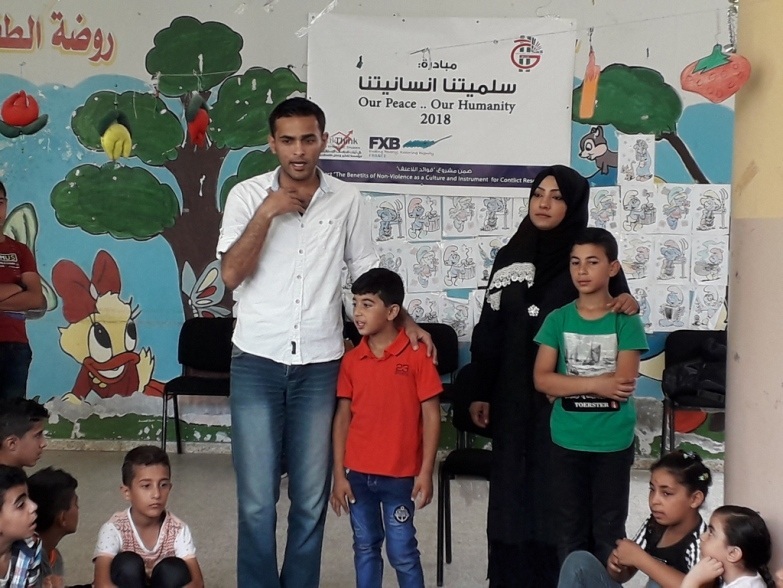 Dr. Haidar Abdul Shafi Center for Culture and Development, has implemented an initiative entitled “Peace is My Humanity” in cooperation with Pal-Think for strategic studies and FXB Organization. This initiative comes within “The Benefits of Non-Violence as a Culture and Instrument for Conflict Resolution Domestically & Regionally” project, aims to contribute to creating an environment full of tolerance, acceptance of difference, and free of societal. 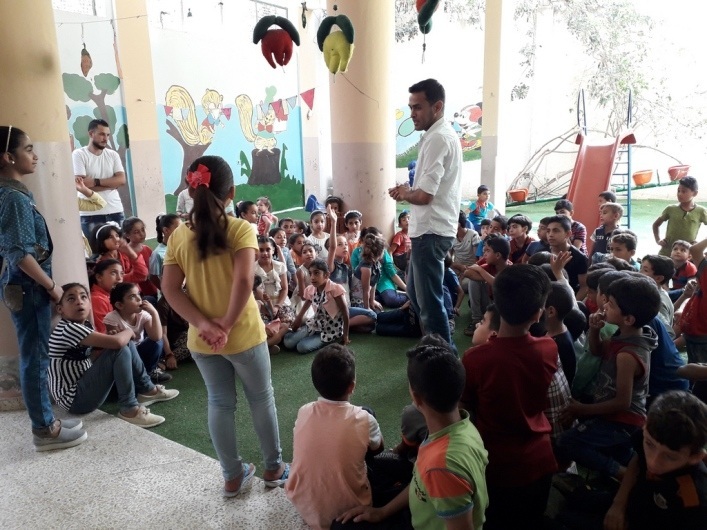 The initiative aimed to spread a peaceful and nonviolent culture, among children, in order to promote a culture of respecting others, to prepare a generation capable of building a healthy society away from violence, and based on respecting the law and the acceptance of other. 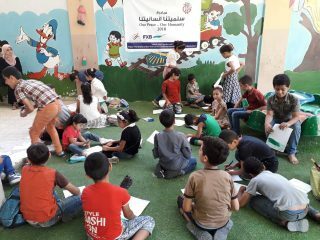 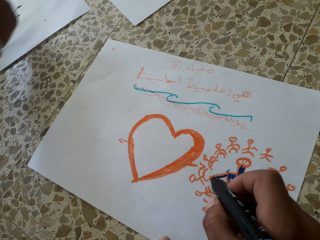 The initiative targeted nearly 500 children in related institutions in Gaza and the North Governorate. 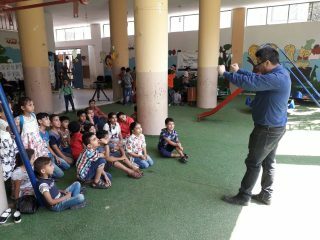 A number of workshops were carried out, besides displaying cartoons to children to promote a culture of peace and love among them. 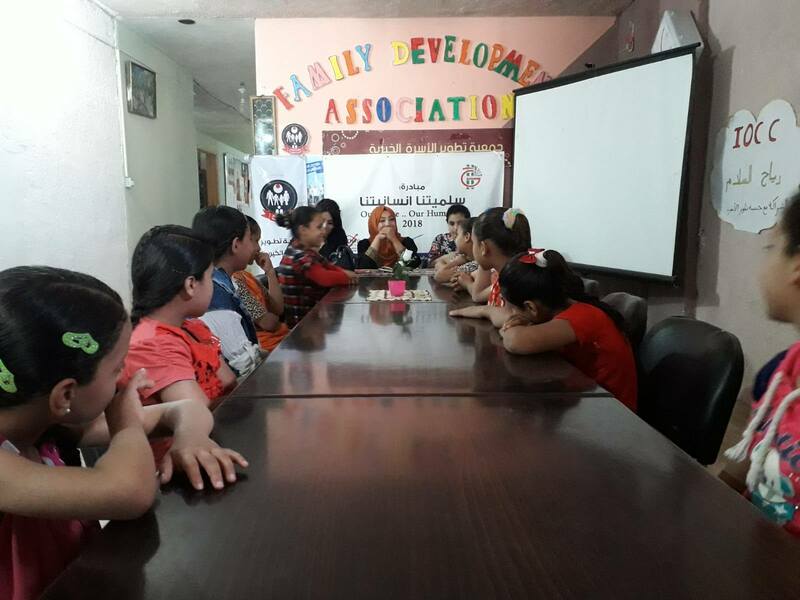 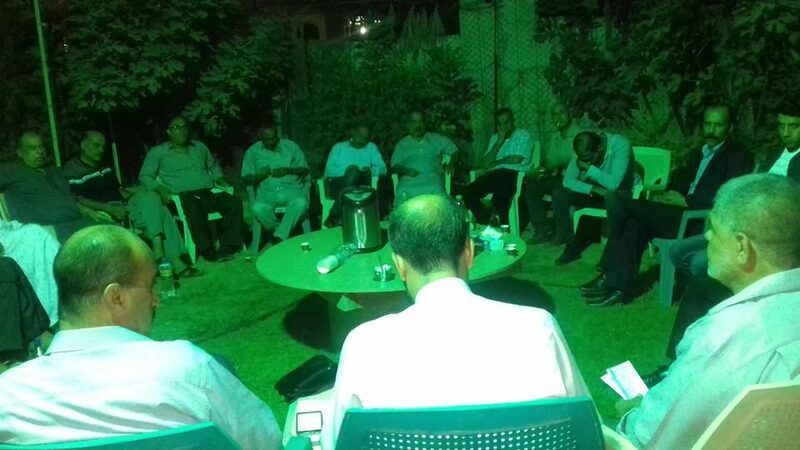 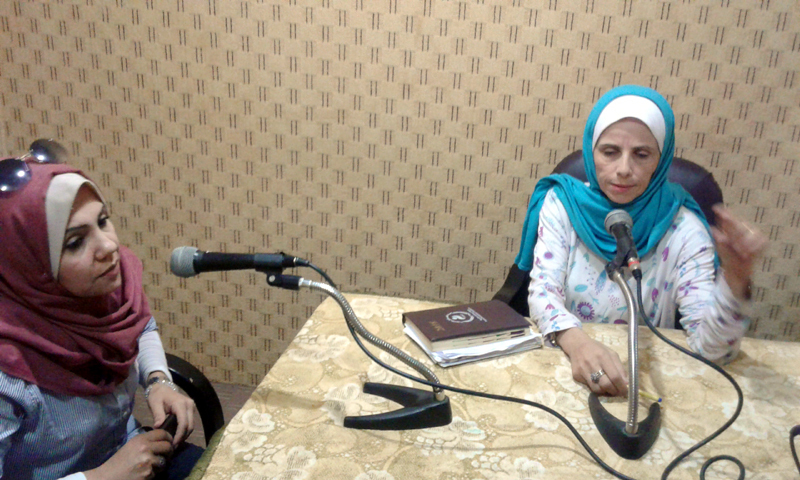 During the implementation of the initiative, a meeting took place in Dr. Haidar Abdul-Shafi Center, to introduce participants to the center, its objectives in addition to the identification of the Palestinian personalities, including Dr. Haidar Abdul Shafi by playing a short film about his life, explaining his active role in spreading the culture of tolerance, social justice and national unity. 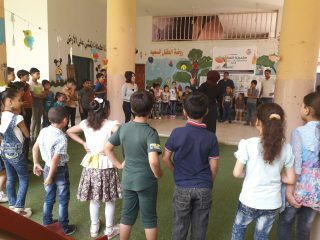 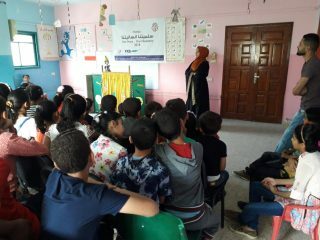 Proceeding to the initiative activities, a play was introduced by the initiative team, aimed to spread a culture of nonviolence, besides playing basketball, hosting by the Family Development Association in the northern Gaza Strip. 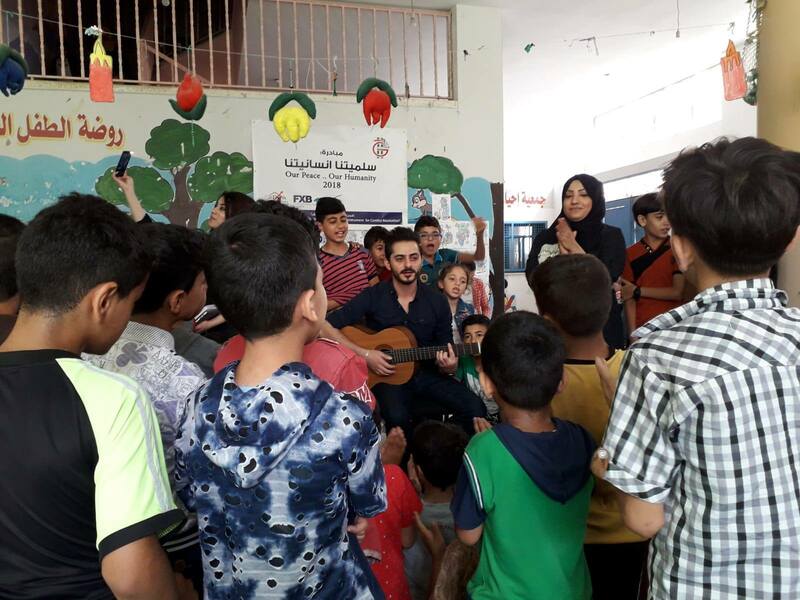 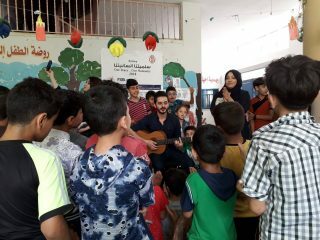 The team also visited Al Qattan cultural Center, where the children practiced their hobby and express it through drawing, reading inside the library and playing music, calling for the importance of spreading peace and fighting violence. All these activities come within the framework of spreading the culture of non-violence, tolerance and love among the members of society, especially children.